John R Williford has been a DJ since 1978. He started at the age of 13 playing for local parties and quickly started playing in a local night Club in Roxboro, NC. Not yet old enough to be in the club, he was the DJ between sets for many bands like the Embers, Chairman of the Board, Tams, Drifters, Band of Oz and more. John also was the sound technician and trumpet player for a local Beach music and Top 40 band Crossfire all through high school. He would DJ between sets for the band and DJ parties and school dances when the band was not playing. His DJ work quickly turned into a business and he was in high demand. It was not long he was picked up as DJ talent represented by booking agency Hit Attractions and later East Coast Entertainment in Charlotte, NC. John has played for many Beach and Shag Parties and events over the years. John got his first job in Radio working for WYNC in Yanceyville, NC. 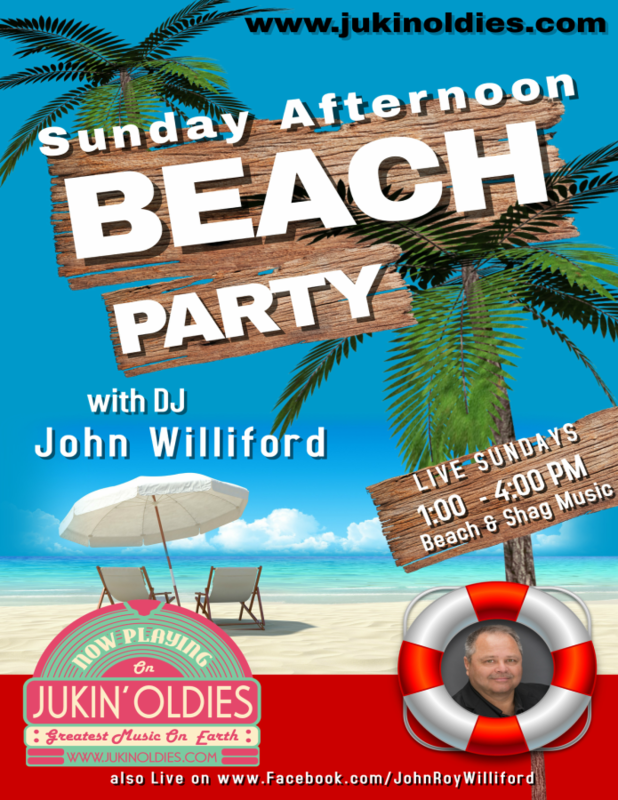 He worked weekends and started his first Beach Music Radio show on Sunday afternoons. John graduated in 1985 from Central Carolina Technical College in Sanford, NC with a major in Radio/TV Broadcasting. He continued to run his mobile DJ business and had a beach music show on the radio at about every station he worked at. John worked for several radio stations in NC and Virginia including WKML Fayetteville, NC (air talent), WDVA Danville, VA (air talent), WJLC South Boston, VA (air talent), WTIK Durham, NC (Program Director & Air talent), WPCM Burlington, NC (Production Manager & Air Talent) where was known as The Original Jack Daniels on the air, WKRX Roxboro, NC (air talent). John also had his Beach Radio shows airing on many stations all over the east coast. John left radio full time in 1996 to focus on his DJ business Carolina Productions & Entertainment full time. He continues to help produce the Saturday Afternoon Beach Party part time and his show Classic Soul Saturday Night. John is a Voice Over Talent and Videographer and works out of his studio on Hyco Lake near Roxboro, NC. For 25 years John was known as the Voice of the NC State Fair. John’s broadcasting Career took him in many directions. He worked with some of the biggest names in the music industry in many ways. He was emcee for many concerts including shows at The Walnut Creek Amphitheatre in Raleigh for such artist as Travis Tritt, Clint Black, Wynonna Judd, Reba McEntire and Faith Hill. He once emceed a concert at a local small town county fair where a new and upcoming artist was set to perform. John hit the stage and introduced this new artist as Garth Brooks. A year later he introduced Garth Brooks at the NC State Fair. John also emceed shows at the North Carolina State Fair for Allison Krauss, Rickey Van Shelton and others. One of his biggest moments was when he was invited to sit in on a live national radio broadcast in Nashville, TN one night with the Great Wolf Man Jack. In the 1980s John was hired on a regular basis to provide and run sound and lighting systems for special concert shows at a night club called the Flaming Star. John got to work lights and sound for such professional country artist such as Merle Haggard, Gene Watson, Ronnie McDowell, Johnny Paycheck, Vern Gosdin, Mel McDaniel, Jerry Reed, John Anderson and many others. In 2010 John produced a weekly TV show for USAR Pro Cup Racing (formally Hooters Racing) that aired on 18 different national sports networks across the country. John and His video crew filmed all of the races across the country and he edited and produced the TV show. 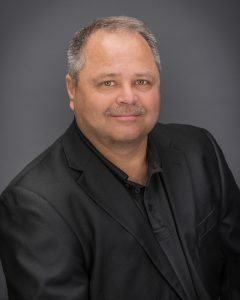 John has also produced video content for the Montel Williams Show, CBS Sunday Morning show, NBC Wedding Bloopers, Dr. Phil Show, WRAL News and WTVD News. John is a volunteer with UNC TV as studio Floor Manager and Camera Operator. John says he is blessed to have been able to play the music he loves and experience the things he has in his career. He wears many hats but enjoys them all. Music is his passion and entertaining people is something he takes very seriously. Even though he plays all types of music its Beach and Shag music that he loves the most. 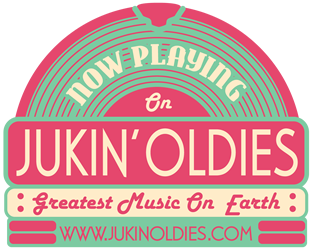 John is excited to join his friends on jukinoldies.com and is looking forward to many years of playing the music that we all love so much. John says he would be honored one day to be included in the DJ Hall of Fame and maybe be able to put a Cammy on display in the studio. He is a founding member of the Triangle DJ Association and Associate Member of the Association of Beach and Shag Club DJs.